Here we are on day 6 of our 12 day celebration of Richard Armitage as Guy of Gisborne. Today’s screencap was contributed by Alfie. Here is her screencap from Robin Hood season 3 episode 5. That smirk is very popular! Thanks ever so much for your contribution, Alfie! By the way, Alfie has a blog of her own: RAlfieism. Check out her unique projects! There have been a lot of suggestions, even if they were joking, to have the ability to have an actual “Guy cube.” So here is my attempt to make that a reality. Get out your printer, paper, scissors and glue and have fun with this hands-on activity, LOL! EDIT: Version 5.0 is live! (I skipped posting version 4.0.) This should be the final version. Please let me know if there are any “bugs.” You can be my beta testers, LOL! This entry was posted in Animated GIFs, Graphics, richard armitage and tagged animated gifs, graphics, guy of gisborne, richard armitage, richardarmitagenet, richardarmitagenet.com, richardarmitagenetdotcom, robin hood. Bookmark the permalink. RA arts and crafts, lol…what will you think of next? Brilliant! YEAH! Paper, scissors and glue! Just the thing for a scrapbooking girl like me 😉 Looove the idea. Thanks Ania – sorry to hear that you can´t comment. If you are using blogger, they sometimes got some problems when you put a checkmark in the “allways be sign in” box! 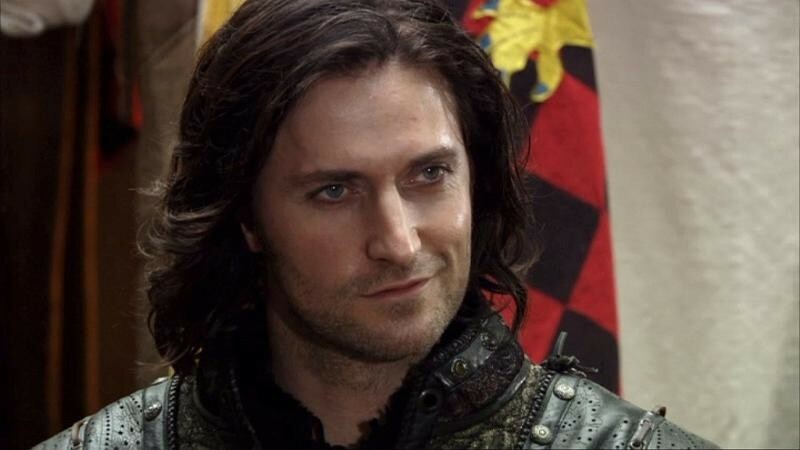 I’ve just asked my daughter if I could use her printer because I am making Guy of Gisborne cubes…she just raised one eyebrow and smirked…oooo the resemblance was uncanny…I’ve got my scissors, string and glue pot at the ready…I’m going to make Christmas Guylands with the finished cubes!!!!. Hahaha! Brilliant! This looks like fun! Psssssssssst, did I tell you how AMAZING you are Bcc? Shuuuuush…I’m having wonderful (but naughty) festive thoughts!!! Very good pedagogic project. It’s only to learn geometry that I will make cubes , and I think I will do quick some progres , I don’t know why…. Once I figure out how to download–it may not like my browser–I’m going to print them out and put them together. I think I’ll just have to have a table top Guy holiday tree this year–with these cubes as some of the ornaments. Ha! Ooooo! What a wonderful idea to put bccmee’s wonderful idea to work. You people constantly amaze me with your creative ideas!! I am stunned, amazed and deliciously tickled all at the same time! This is such a fun idea. Really, the whole 12 days are. Everyday we open a new “present”. Thanks again for these lovely Guy treats. My own cube to play Gisborne dice ;o) Thank you, bccmee!!! Love the cube, thanks! I can hardly wait until the rest of the cubes are available (I’ve got my eye on numbers 3 and 4). BCC, the cube is a fabolous idea! Cubes of Guy, Cubes of Hotness! Fantastic idea and will be using the sticky paper idea and hanging them on my Christmas tree!! Thanks Bccmee another gem! So, I have to say, Smirking Guy was my choice . I feel like a twelve year old with a crush. It’s so silly and fun. I’m sure these take time and work for you, bcc, so thank you for sharing! I’ve heard of Dr Who and Star Treck conventions but an RA convention mmmmm don’t they all go dressed as the character? Bccmee would go in army fatigue…I would go in strippy accountants jumper but I bet there would be a lot of you in those leather pants…could be interesting to say the least!!!!! Thank you bcc. I looooooooooved these cubes. Genius,! You are really a genius, girl! What more do you go to invent? I can´t wait untill tomorrow to print them ( It´s a little late of night here). Ladies, I simply loved your suggestions. All them were duly noted. I love the printable cubes! I’m going to get right on printing them out. 🙂 I see other’s have said they are going to make garland and ornaments out of the cubes. My first thought when I saw today’s animation was that we used to make Christmas ornaments out of paper cubes in craft time when I worked with children. Hmmm…I think my tree may get a few more ornaments this year!!! Fabulous, bcc….I needed another craft project, and these will do nicely!!! I do so love your creativity! I’m not a “crafty” person but I wonder if I could make a Guy cube necklace and matching earrings? Maybe a Christmas holiday project. Woo Hoo! I had to wait til late to get this to load. Guess my internet is not cooperating with me. But I have downloaded all five! This is a novel idea! Thank you! I love these – I’m going to print them all as I can’t choose one 🙂 Then I get to play with scissors & glue….haha what fun! year…there should be plenty of bearded beauty piccys for our festive cubes…now I just have to find an excuse as to why I have spent about £50 on printer ink??? @Everyone: I’m really laughing at your comments! If any of you actually create some of these cubes, I’d love to see a picture of how you’re using them. I’ll post some of them on my blog. Just upload your images to imageshack or photobucket or your favorite site and send me the URL either in the comments or through the Contact bccmee form. Such a hilarious idea of a RA character convention. That would be fun to dress up as John Porter. I’ll drive up in a Jeep convertible for the full effect. I’m really getting a charge out of your humor! Thanks so much for the holiday joy!! !